The last decade has seen enormous transformation in the IT operations, or “ops” world. Increasing levels of automation have shifted the day-to-day work of ops personnel. The rise of cloud computing has given rise to increasingly complex hybrid IT environments—all of which come under the purview of ops. Even more significantly, the relationship between the application development, or “appdev” world, and ops has itself undergone a transformation. Gone are the days of “throw it over the wall, it’s ops’ problem now,” as DevOps brings collaboration opportunities to both appdev and ops teams, which means that means that the day-to-day life of ops personnel has improved. Previously, the lack of automation and visibility into the root causes of problems used to lead to reactive firefighting-style crisis management, as people from different divisions gathered in war rooms for stressful finger-pointing sessions. Today, in contrast, the work of ops is very different, as is our expectation of the future. The confluence of automation, hybrid IT, DevOps—and the increasingly important role of artificial intelligence (AI)—has led to a clear vision of a world where ops is fully automated. Turn the lights out in your data centers, folks—and welcome to NoOps. The idea behind NoOps is simple: build a fully automated IT environment that is entirely abstracted from the underlying hardware infrastructure. With NoOps, it doesn’t even matter where the hardware resides, as the entire software stack, from operating systems and hypervisors all the way to running applications, is entirely software-defined. This notion of a “lights-out” data center (who needs lights if there aren’t any people?) has become a reality for certain companies, in particular, the web-scale firms like Google and Facebook who have intentionally built their hyper-scale data centers to follow NoOps principles. 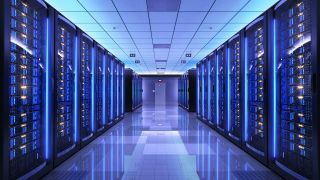 The public cloud service providers (CSPs) like AWS and Microsoft Azure likewise follow largely NoOps principles internally, as they simply wouldn’t be able to staff enough people to manage such massive portfolios of data center real estate any other way. Automation-driven NoOps for web-scale companies like these is a must-have. For the customers of the CSPs, however, it’s a different story. For smaller, cloud native companies, NoOps may very well be within reach. But for enterprises, NoOps is largely unrealistic. The problem: there is more to the hybrid IT reality of large organizations than an easy-to-abstract CSP-based environment. Hybrid IT includes multiple public cloud environments, as well as private clouds, on-premises virtualized environments, and legacy environments—or any combination thereof. In essence, hybrid IT is a management approach centered on a workload-centric and value-driven abstracted technology stack across all of these environments. From the perspective of the workloads that run the applications that companies conduct their businesses on, the goal is to build and support a coherent abstraction across all of the technical complexities of the underlying infrastructure. But from the perspective of the ops team, keeping this underlying infrastructure up and running securely at peak performance is well out of the reach of NoOps. Instead of NoOps, what about NewOps? NewOps is really nothing more than a name for the fully modern approach to enterprise ops. The NewOps vision is first and foremost cloud-first: meaning that for every IT purchasing decision, a cloud-based answer is the default. The only reason to make an on-premises purchase is if no cloud-based alternative is suitable. NewOps is also proactive. Instead of reacting to issues, the ops team leverages AIOps (AI for operations) to extract predictive insights from vast quantities of operational data, thus uncovering root causes of issues, predicting future issues, and ideally, leveraging automation to mitigate such problems before they affect the business. Thirdly, NewOps is collaborative. AIOps and other modern ops tools provide constant feedback to both appdev and ops personnel, thus empowering them to continually improve the work they do. NewOps is also service-centric in the sense that AIOps delivers value as services the ops team leverages in their day-to-day work, either manually or via automation. For example, the service-centric AIOps solution from OpsRamp provides services for hybrid infrastructure monitoring, intelligent event management, alert correlation, and remediation. Finally, NewOps is fully hybrid, where all cloud and on-premises environments are equal parts of the enterprise infrastructure story. The Intellyx Take: Will NoOps Ever be Practical for the Enterprise? For NoOps to be a reality in a modern enterprise ops environment, three things must be true: the environment should be largely homogeneous, changes at the infrastructure level should be rare, and most significantly, ops people should have nothing more to learn. For anyone with even a passing familiarity with the reality of enterprise ops, none of these three characteristics is realistic. Heterogeneity is a fact of life, and an inherent part of the hybrid IT story. Changes are constant, and as organizations increasingly move to containers, environments will be more dynamic than ever. The human side of this question, however, is the most telling: ops personnel—in reality, everyone within IT—must always be learning. In fact, continuous learning and improvement is a cornerstone of DevOps, as it is with all iterative approaches to appdev including Agile and Lean. NoOps may be a pleasant fiction, a holy grail of sorts where the quest is more important than the reality. In contrast, NewOps, in all its dynamic, hybrid glory, is far more likely to be the reality for enterprise IT for many years to come. Jason Bloomberg is principal analyst and president at Intellyx.